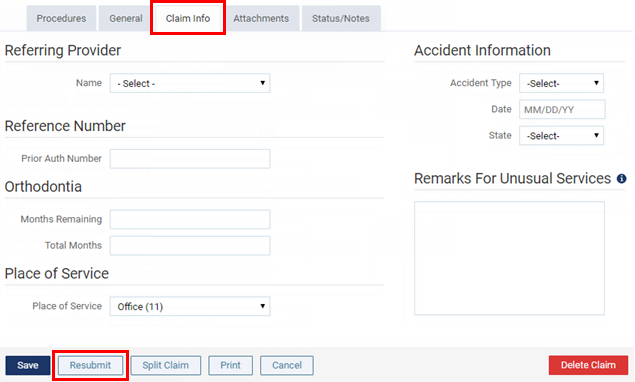 You can resubmit a claim, such as when an insurance company does not receive a claim or an error on a claim needs to be corrected. Any changes made to the claim will be sent with the resubmission. On the Claim Info tab, make any necessary changes.